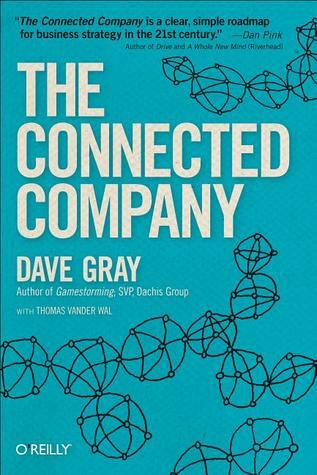 Dave Gray and Thomas Vander Wal offer an intriguing, insightful, and informative guide on co-creating a connected company. Check out the back over. I appreciated the drawings and statements inside the back cover of the book. To succeed in uncertain times companies must organize differently. They must reorganize from hierarchies into holarchies, where every part can function as a whole unto itself. A connected company is flexible and resilient, able to adapt quickly to change. The path from divided to connected company is not simple or easy. But in an increasingly volatile world, it is also not optional. Also a real strength of the book was to transform the table of contents into the executive summary. Love. If you can’t find something to love about your company, then you are not doing yourself or the company a favor by staying. Permeability. Making your systems more permeable will invite more energy and ideas into the company. Discussion questions. Each of the 22 chapters has two or three discussion question at the back of the book. Use these to turn the prose of the book into a series of conversations within your company. The questions for the final chapter ask: What is the first step in our journey to connectedness? What, if anything, is stopping us from taking that step? What can we do Monday morning? I suggest the first step is acquiring this book, what might hold you back is inertia and fear, and what you can do Monday morning is start reading and putting the principles and ideas into practice while simultaneously having conversations based on the questions for the 22 chapters.